With November being Carbon Monoxide Awareness month, now is the time to ensure your rental properties are ‘Gas Safe’ as the colder weather approaches. 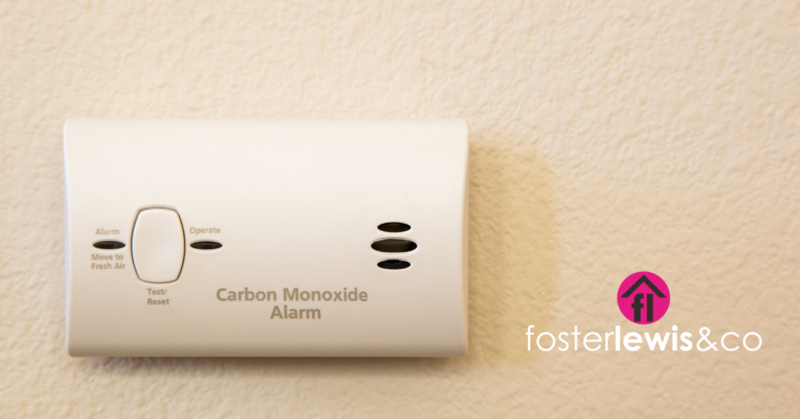 Carbon monoxide is odourless, colourless and tasteless, therefore it is extremely difficult to detect, but can be deadly where there is a general lack of knowledge about the danger and damage it can cause. With cold weather starting to creep in, many households are turning their heating on having not used it through the summer which can mean families are at risk from a faulty boiler or inadequate ventilation. This is why it’s so important to check your boiler and, if you’re concerned, contact a local gas safe engineer. The Smoke and Carbon Monoxide Alarm Regulations 2015 state that private sector landlords are required to have at least one smoke alarm installed on every storey of their properties and carbon monoxide alarms in any room containing a solid fuel burning appliance, however a review of health and safety in the private rental sector, announced by the government last month, which has been warmly welcomed by the majority of letting agents will include an assessment of carbon monoxide alarms. This review is intended to ascertain whether current legislation goes far enough in keeping people safe from the risks of carbon monoxide in their homes and whether there should be a compulsory requirement to install alarms for other methods of heating, including gas and oil. With the average cost of £25.00 for a carbon monoxide alarm, it appears to be an easy answer now rather than wait for the government’s decision? If you are unsure of the symptoms of carbon monoxide poisoning then please check the information on the link below.